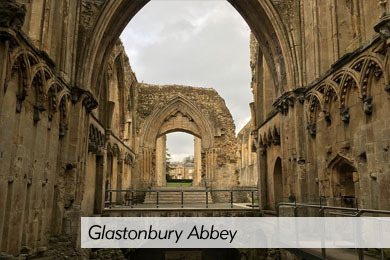 Melrose Bed and Breakfast is very fortunate in that its gardens adjoin Glastonbury Tor. 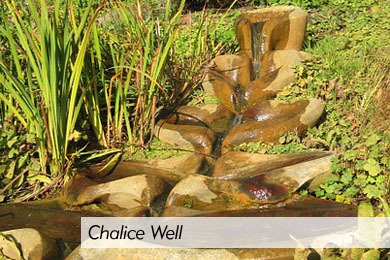 Both Chalice Well and Glastonbury Rural Life Museum are within a stone's throw and Glastonbury Abbey, TI Office and Glastonbury High Street are an approx 10 minutes walk. 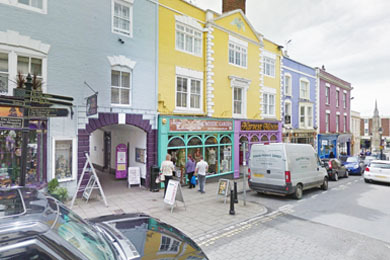 With magic, myth and legend to consider Glastonbury Town Centre boasts and intriguiing selection of shops, cafes, restaurants and other amenities. There are many organised tours, walks and listed footpaths within the immediate area. 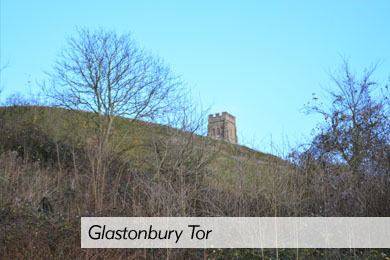 Glastonbury Town Trail and Glastonbury Rural Walk can be followed with both ease and interest. As well as Glastonbury Tor, Wearyall Hill and Chalice Hill are popular choices along with the pathway to 'Gog' and 'Magog'. The City of Wells with its Cathedral and Bishops Palace is within a 20 minute drive, so too is The Royal Bath and West Showground at Shepton Mallet and Wookey Hole Caves. The Fleet Air Museum at Yeovilton, and Cheddar Gorge are within an approximate 30 minute drive. For pure retail therapy, the recently extended factory outley centre of Clarks Village in Street is a mere 5 minutes drive away. If you are interested in visiting this shopping centre, further details can be sent. Glastonbury is a town in Somerset, England, situated at a dry point on the low-lying Somerset Levels, 23 miles (37 km) south of Bristol. Glastonbury has beautiful countryside with four sacred hills of the Chalice Hill, the Wearyall Hill, Windmill Hill and the famous Glastonbury Tor near to where we are situated. In addition to contemporary music, the festival hosts dance, comedy, theatre, circus, cabaret, and other arts. 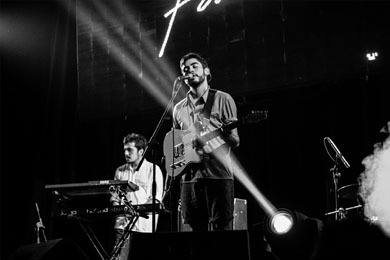 Leading pop and rock artists have headlined, alongside thousands of others appearing on smaller stages and performance areas. Films and albums recorded at Glastonbury have been released, and the festival receives extensive television and newspaper coverage. Glastonbury is the largest greenfield festival in the world, and is now attended by around 175,000 people.